The one product that every person on the plant needs every day, from newborns to geriatrics and both sexes. Millions of this product are sold every month in South Africa. 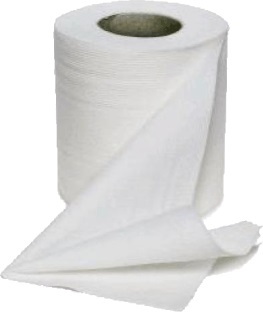 Purchase best quality virgin toilet paper at The Toilet Paper Factory and stand to make a sizeable profit per roll. On bulk toilet paper purchases, best quality 1 ply (500 sheets) can be bought for as little as R2.92 per roll and best quality virgin 2 ply (300 sheets) from as little as R3.44 per roll. Get down to The Toilet Paper Factory today and start earning money!